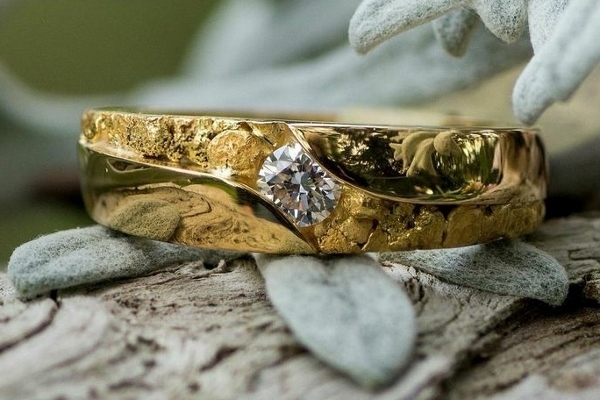 Natural Alaskan gold nuggets and diamond in 14kt yellow gold. This ring can be customized for you by using colored stones and can also be made in white gold. Please call us today to discuss how to customize this ring for you: 907-456-4991.